There is a reason why “my landlord problem” is a topic high on the list of prayer points submitted by members in churches across the country. If you have lived in a rental property at some point…or perhaps you are currently living in one at the moment, you know firsthand that selecting and living in a rental property (whether alone or with friends, colleagues or family) is not easy …at all. Even if you have been extremely cautious with your selection, followed all the required steps and moved in smoothly, certain issues still come up and disrupt your entire arrangement. The good thing is that most of the issues and housing law violations can be avoided if you know your rights as a renter. You can protect yourself from the get-go and know when and how to fight unfair treatment from your landlord. As a tenant, you should know which repairs your landlord is responsible for and which fixes you need to pay for. Some tenants will rent an apartment, pay the added maintenance fee, yet when something is broken and needs to be fixed, the landlord will turn a deaf ear to their requests. As a tenant, you have a right to be provided with a habitable environment. This includes functional plumbing, electricity, clean, sanitary and structurally safe premises, e.t.c. If there are any damages caused normal wear and tear, the Landlord is expected to repair or replace them. Should they refuse to oblige, you have the right to withhold a portion of your rent, until the problem is sorted. If you pay to have the damages fixed, you may deduct the cost from your rent, or abandon the property altogether… without liability. 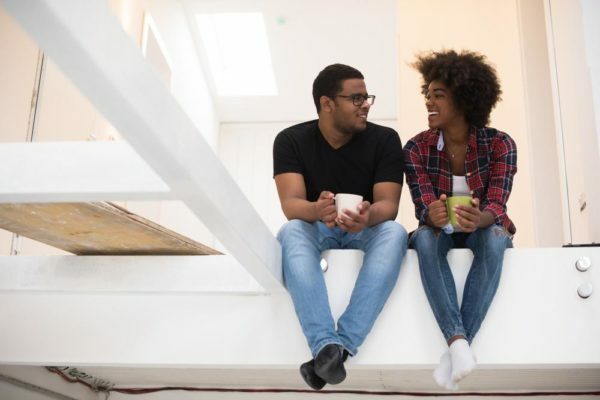 Unless it has been specified in the contract you signed before moving into the apartment, your landlord cannot just wake up one morning and inform you of an increase in your rent effectively immediately. Your rent cannot be increased within the term of a fixed-term tenancy agreement (less than two years). If a landlord pulls any such stunt, you have the right to dispute the mandate. And even when it is rightfully increased, you are entitled to a notice period; this way, if you believe that the increase is unjustifiable or a little too much, you can actually dispute it. Yes, he owns the building, but for the period covered by your rent, you are the official occupant of the space. He cannot just barge in any how and disrupt your privacy. Where he does that, you have the right to bundle him out or sue him for trespass. In the case where entrance is for inspection or maintenance purposes, he has to pre-inform you and set a date at your convenience. You have a right to be left alone to enjoy the property you have rented, and not be disturbed by a landlord or agent strolling in and out of the premises without your consent. Nothing is quite frustrating for a tenant as a noisy neighbor, especially one that is unrepentant. Good news is that you do not have to let yourself get frustrated by these neighbors that make it their life’s mission to disrupt the entire building with noise every chance they get. Even if they insist it a for religious purposes (for instance, they hold vigils with friends every night), you have the right to report them to the landlord. He can play the role of a third party enforcer, attach stringent measures to curb such behaviours around the premises. Before you rent a place, you are asked to pay a security deposit or caution fee, alongside the total rent, maintenance fee and other charges (agreement fee, agent fee e.t.c). Usually, this caution fee is paid on the condition that it will be refunded when the rent has elapsed. However, a number of landlords hesitate make this refund, with claims that you have damaged one or two things that your probably did not even damage. It usually helps if the agreement clearly spells out the use and refund of security deposits, including allowable deductions – that way you can make a legitimate complaint as then you would have the clear right to get your money back. Also, to protect yourself from this kind of exploitation in the first place, ensure you have a record of the state of the rental space before you move in, that way nothing is misconstrued in future. Can you think of any other rights tenants in Nigeria have or should have? hmmmm…in Port Harcourt, concerning the noisy environment the Landlords or Landlady isn’t really the problem it’s Bar (pepper soup joint). These bar owners don’t care about the neighbors, especially children because the disadvantage is really much on them. I am sorry but some of the things stated can’t work in Nigeria except you live in a service apartment. If you’re waiting for the landlord to sort you out then oyo lo wa.